We pledge to offer procedures using the latest technology in a safe, comfortable, and relaxed setting. 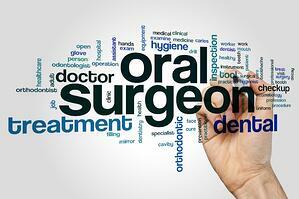 Oral Surgery Services in Charlotte NC. Dental surgery with Dr. Linger introduces the latest microsurgery procedures and advanced equipment. 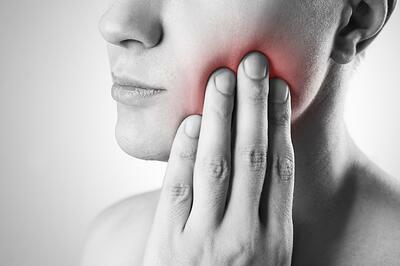 Oral surgery can resolve discomfort, disease, and infections that are in your mouth, teeth, and gums. We are one of the few dental facilities in the world that performs Oral Microsurgery. We offer all necessary services for the surgical removal of wisdom teeth, including IV sedation for maximum patient comfort. Bone grafting procedures include sinus lifts, socket grafting, ridge augmentation, and use of biologic growth factors that enable bone regeneration after tooth loss or trauma. We also provide faster and more comfortable healing with the use of Platelet Rich Plasma (PRP) and Platelet Rich Fibrin (PRF) procedures. Dr. Linger has been recognized for skill in the surgery and restoration of dental implants as a Fellow of the International Congress of Oral Implantology, one of the highest international designations for the most life-changing treatment that dentistry offers. We are one of the few offices that offer both Dental Implant surgery and restoration in ONE location by ONE doctor. Just like other forms of sedation dentistry, IV sedation is designed to relax you and make you completely comfortable. IV sedation also eliminates your anxiety and pain. Although you may lie back in the dental chair with your eyes closed, you will not be asleep during your appointment and will still be able to respond to verbal cues from your dentist. Because you are completely relaxed, your dentist can accomplish more high-quality dentistry in less time. If you have a bad gag reflex or difficulty sitting in a dental chair for long periods, IV sedation will help you with that as well. You’ll be so relaxed that you”ll be unaware of the sights, smells, and sounds of the dental office. Patients remember little-to-nothing of their appointment by the next day. A tooth that is severely damaged may need to be removed. Before removing your tooth, Dr. Linger will talk with you about the different choices of medicine to help you feel the most comfortable with the procedure. The removed tooth can be replaced with an implant, a denture, or a bridge. Download Our Free Smile Evaluation Checklist. Appraise Your Smile!